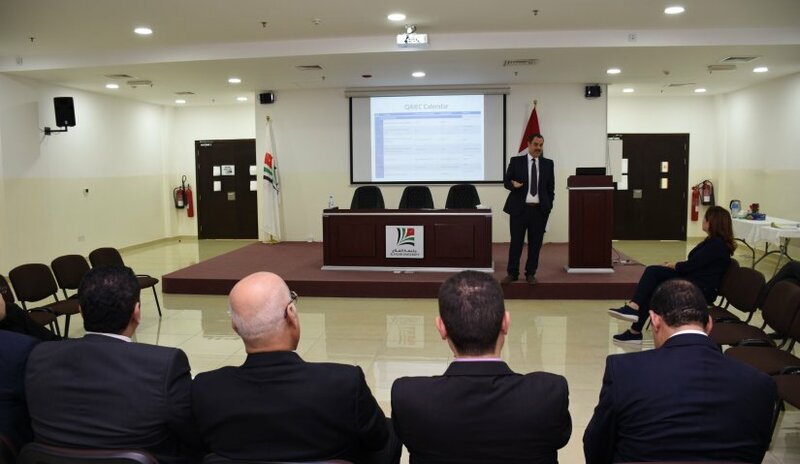 Al Falah University concluded the activities of the orientation for the new faculty members in preparation for the new Academic Year 2018-2019. During the orientation, the faculty members were introduced to the Colleges and the requirements of work according to the quality standards were discussed. All issues that concern the members of the faculty, in terms of regulations, administrative and services available, as well as examinations and academic guidance were also deliberated. The activities concluded with a tour of the campus. Lecture about "New in the world of cosmetics"
Al Falah University honors participants for the “Arabic Reading Week"